Blackout curtain lining. Cream colour. 54” wi..
Blackout curtain lining. Ivory colour. 54” wi..
Blackout curtain lining. White colour. 54” wi..
Polycotton. Ivory colour. 54” wide (137cms). .. 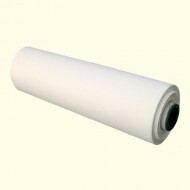 Schedule 3 Interliner/Barrier Cloth. Allows u..